London prepares itself to welcome a whole host of the foremost authorities on creative thinking at the Kaleidoscope International Creative Festival. Debuting on the 27th and 28th of November, the festival is billed as a creative conference comprising of an impressive two days of creative workshops, master classes, art exhibitions, events, an art fair and the odd party. 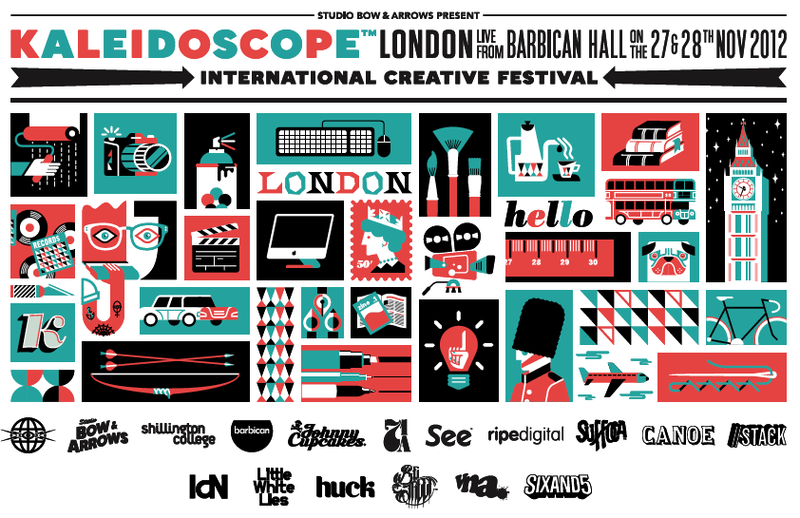 The brainchild of London based artists/illustrator/designer Timba Smits and the talented Studio Bow & Arrows, the Kaleidoscope International Creative Festival - London 2012 is a project that the organisers hold very close to their hearts. The objective and aim of Kaleidoscope is to inspire and encourage designers, illustrators, artists, creative professionals and anyone harboring a creative streak to break the mould and dare to achieve great things in their careers as well as their own day-to-day lives. 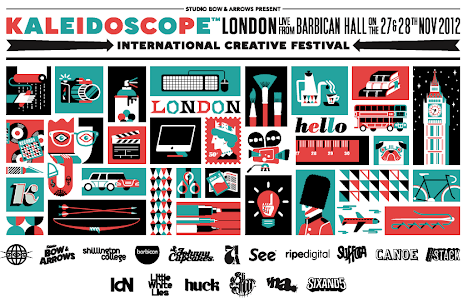 The debut London Kaleidoscope Creative Festival will run from Saturday the 24th of November until Wednesday the 28th in and around the Barbican Centre and various east London venues. For a full line of of the speakers and all the details of the festival head over to the Kaleidoscope website here. UPDATE: The nice folks at Beach London on Cheshire Street have been in touch to let us know you can get 10% off your ticket price if you buy your ticket from the Kaleidoscope website using the code BEACH! Go now while the offer lasts! Thanks for letting us know Zoe.